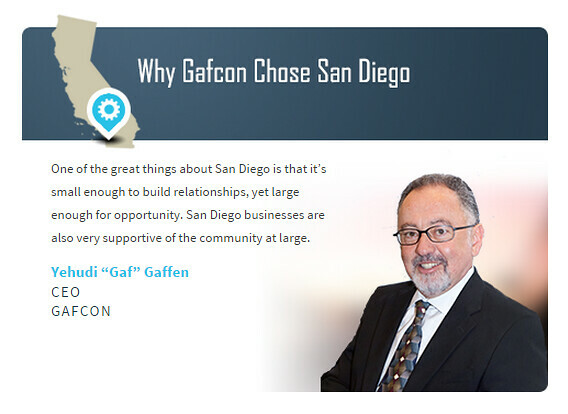 Meet Gafcon, one of the companies shaping Southern California’s skyline. Consistently ranked among Engineering News Record’s 100 Top Project Management Firms, Gafcon is the company behind some of the region’s most iconic locations, including the Del Mar Fairgrounds. Founded in 1987 by Pam and Yehudi Gaffen, the company now has more than 100 employees at its offices in San Diego and Los Angeles. They seek to use their construction expertise to build vibrant communities. We recently sat down with CEO Yehudi “Gaf” Gaffen to hear firsthand why the company thrives in San Diego. Never losing sight of an owner’s objectives and perspective, Gafcon anticipates a challenge, delivering with certainty while making the complex simple. We take command of multilayered projects by applying decades of specialized experience. Gafcon is confident in our project management teams and our deliberate approach, and are committed to the communities in which we live and work. Our mission—27 years in the making—is to safeguard success. Gafcon project management teams consistently focus on an owner’s best interests. Our technology and management tools maximize the value in every investment. And every goal is achieved by adhering to The Gafcon Way: A process that ensures transparency, facilitates confident decision-making, and constantly strives for perfection. Our people, our technology and our processes are unique within the industry. Combined, they are a driving force that delivers certainty. Our most important measure of success: Longstanding client relationships built on trust, personal attention and mutual respect. I migrated to San Diego from South Africa in search of a better place to raise a family. I had received a call from a business associate asking if I was interested in working in San Diego. I didn’t even know where San Diego was. Once here, I quickly realized that one of the great things about San Diego is that it’s small enough to build relationships, yet large enough for opportunity. 27 years later, it is those relationships and opportunities that have helped our business grow and thrive. I also found that San Diego businesses are also very supportive of the community at large. Being a valued “Corporate Citizen” is foundational for sustainable success and for Gafcon this has resulted in long term repeat relationships that have been mutually rewarding. Gafcon is a partner with AECOM on projects in San Diego and Los Angeles. AECOM is a true global leader. Over the years, they have been entrusted with the management and control of hundreds of major capital programs across all continents and market sectors, including transportation/infrastructure, environmental, facilities, mining and minerals, and energy. Engineering News Record ranked AECOM as #1 in the Top 500 Design Firms in education. We have enjoyed our partnerships with them. In the next five years, Gafcon is looking towards geographic expansions into northern California and Texas. We are also looking to diversify into new markets, including infrastructure (water and transportation) and private mixed-use projects. We reinforce our brand which is focused on delivering complex projects that power vibrant communities. The underpinnings of this mission are: creating value for our clients, seeking new knowledge, delivering with the highest quality, looking beyond the obvious for solutions, becoming our clients partners and last but not least working hard and playing hard. In San Diego, we will continue our focus on the education sector, and look forward to expanding on projects that improve the city’s infrastructure as well as deepening our involvement and contributions to the social, business and philanthropic fabric of our community.